In the beginning it was fun. The Balkans still had all the trappings of Communism, and although dull and dreary for most ordinary citizens, I was having a great time. It was just before the changes, and I was having drinks in the Sobranie in Sofia. Some members were laughing at the poor state of the Bulgarian economy, and along with various apparatchik’s; together with my chum Villie, who ran Balkan Holidays in London, we all agreed it was very nearly over. People who had reached the top of the greasy pole never complained, because they had it all, and the rest of the population were regarded as irrelevant. The mantra then was “The state pretends to pay us, we pretend to work, and we all steal the rest,” and for a while the system worked well, because that was what everyone believed. Now, Sofia has changed, looks like any other part of the EU, is bright and inviting, but for me it is no longer where I want to be. I liked the greyness and the intrigue, it was like a mini Russia, full of delightful conspiracies, and totally unpredictable. But, after twenty years living in an Eastern European circus, Greece became an easy and comfortable alternative. So, here I am. Who needs excitement, when you can look out of your window and gaze in wonder at the little patchwork of fields, the chats with the locals about…… err, tomatoes. Okay, it’s not exciting, but it is quiet, as cheap as chips, and I can write in total peace; something I have been happily doing for the last ten years, in this charming and hospitable country. I started writing seriously in the 80s in London, on a blinding black screened Amstrad analog computer. I still have all the floppy disks, if only I knew how to open them, but they were probably destined for the rubbish bin anyway. 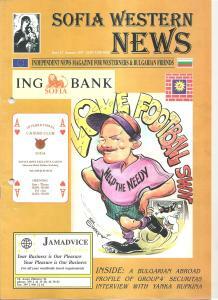 In the early 90s came Microsoft, the Internet and email, and in 1995, I started to write seriously; firstly as editor of the Sofia Western News magazine, an English language monthly, and then my first novel. Most of my material comes from that time, because by then much of the old brigade were long gone, and replaced by their condescending money grabbing and thuggish first lieutenants, overnight I became an item of interest! This meant police interviews, tax-checks, heavy fines, and as many humiliating encounters as they could conjure up; which continued until EU accession in 2008. I still wonder why? My first novel was a satire, and titled Horoditus: The Gnome of Sofia, it was reminiscent of Tom Sharp’s work. It centred round a ceramic garden gnome, which had been tampered with by MI6. 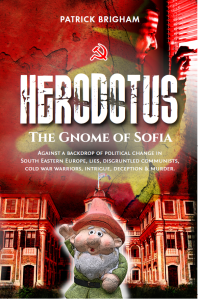 Suddenly, Moscow Rules were no longer required, and in my book, spying in Sofia was entirely left up to a grinning garden gnome called Herodotus. In the background was a warring ambassador, his dubious wife – the daughter of the infamous Jim Kilbey – and of course, utter chaos as arrests were made, with a body discovered in a deep freeze. 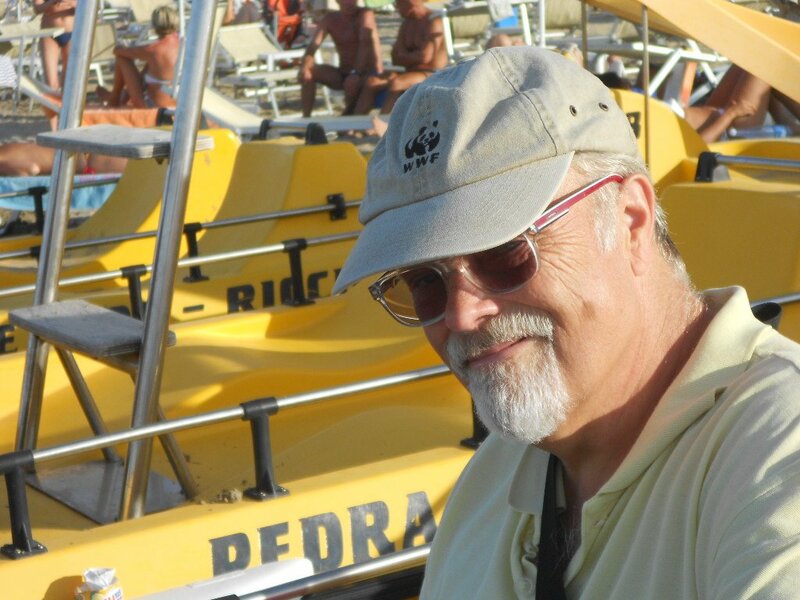 My second novel was a murder mystery involving arms dealing, and this is when DCI Mike Lambert appears on the scene. Having discovered a dead man on a narrow boat moored on the Kennet and Avon canal, it opens a can of worms which takes Lambert well out of his comfort zone, ending with the assassination of a Chinese Banker on the streets of London. Based on real events in Peru – and the then President Fujimori infamous arms purchases – this book reflects a true course of events. 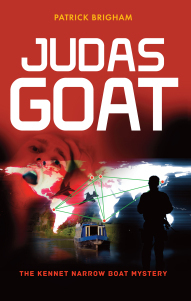 Called, Judas Goat: The Kennet Narrow Boat Mystery, it explains the duplicity of many countries, in the obnoxious arms trade. 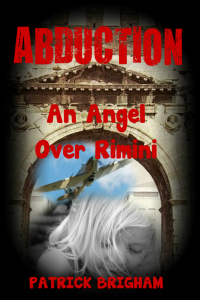 Abduction: An Angel over Rimini, brings Lambert into the world of child trafficking, and as in the little Madi case – which I studied very carefully – he goes on the trail of a missing child abducted from a campsite in Italy. A journey which takes him through Greece, where he meets police officer Electra Boulos, and in Bulgaria, where he comes across a corrupt children’s court judge; but there is still a lighter side. Tracking the smuggling group to a house in Greece, Electra saves the day in a shootout, and due to the resulting trauma she experiences, Lambert consoles her perhaps a little too much. 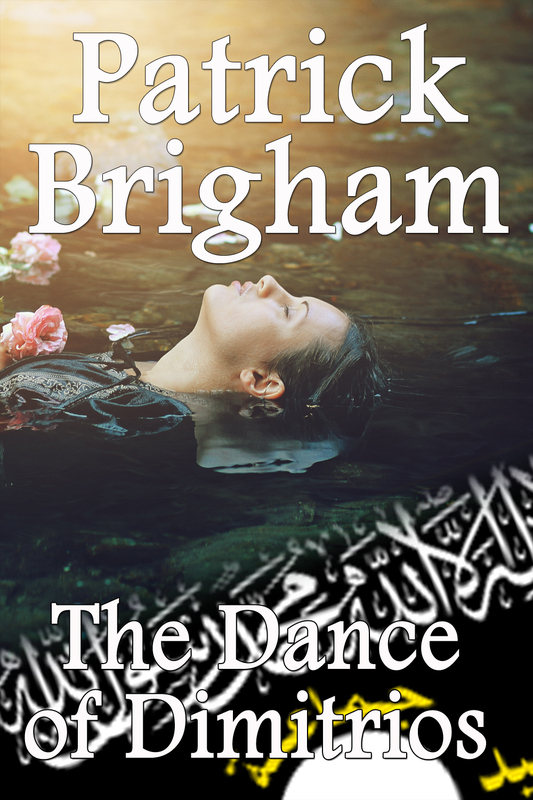 The Dance of Dimitrios takes place in Greece, Bulgaria and London, and brings DCI Mike Lambert and Electra Boulos back together again, but this time it is strictly business. A woman’s body has been found floating in the River Ardas, and assuming that she is Islamic, and an innocent victim of illegal trafficking, she is buried in a communal grave; name unknown. When Sergeant Boulos discovers through fingerprint analysis that it is the body is of an Englishwoman, Europol is informed, and DCI Mike Lambert is dispatched to Greece as a Europol liaison officer. Rather too close to Al Quaeda, Daish, and even MI6, Lambert has to navigate his way through countless obstacles and practiced lie’s, in order to get to the truth and to find the murderer. 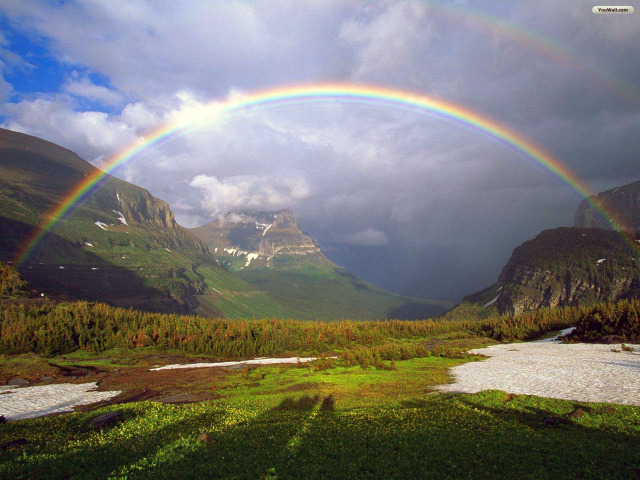 I have just finished the second edit of a new novel called Goddess of The Rainbow. In it I am stepping away from murder mystery, because this is a very Greek story involving the rain, and how flooding changes us, moves the finger of fate, and causes us to reflect on our lives. 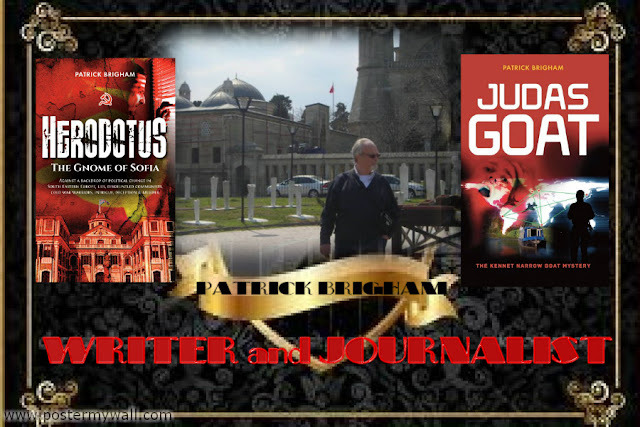 A series of short stories, they all happen in the Greek town of Orestiada. Stories which simultaneously interlink and become a part of the whole, centre around Iris – the local DHL courier – who in Greek mythology is not only Goddess of The Rainbow, but also the Messenger of The Gods, thereby connecting the individual tales of this 16 Chapter book. In it there is a murderous estate agent, and his equally murderous wife, an aspiring artist looking for recognition in Athens, an estranged couple separated by time who rekindle their love, a Greek- Australian who is from Melbourne, and a visiting bus load of Russian women from Moscow. They have been invited by the mayor, in order that some of the winging local bachelors might find a suitable wife. There is an illegal Syrian immigrant, a disgruntled typically Greek mother who doesn’t want her son to marry at all, and a Greek Orthodox Priest who has lost his faith. All that and more; stories which come so beautifully together in the last chapter –fascinating and enchanting – which can be read and enjoyed individually, but put together, serve to make the whole novel greater than its component parts. 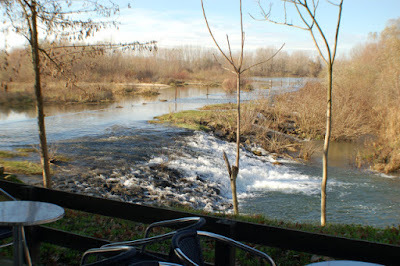 This is partly why I set my books in the Balkans, and most recently Greece, where I now live. To me South Eastern Europe has always held a fascination; the way that – on the surface at least – it all seems so different these days, whilst underneath the mentality, and predilections, remain much the same. My main fictional character is the modern jazz loving, classic car enthusiast, and police murder detective, Chief Inspector Michael Lambert. Late of the Thames Valley Police Force, in the UK, he now works for Europol as a liaison officer – the European Union police force in The Hague – although he finds it hard to let go of the reins as a front line murder detective. This is especially so in my most recent novel, The Dance of Dimitrios, which takes place in Greece, Bulgaria, and also in London. Set once more at the end of the Cold War and Communism, and faced with political intrigue, murder, Al Qaeda and illicit money laundering, DCI Lambert also somehow finds himself embroiled with MI6. But now, free from his carping English wife, Lambert also finds new love, and goes to live with Countess Beatrix in Italy. 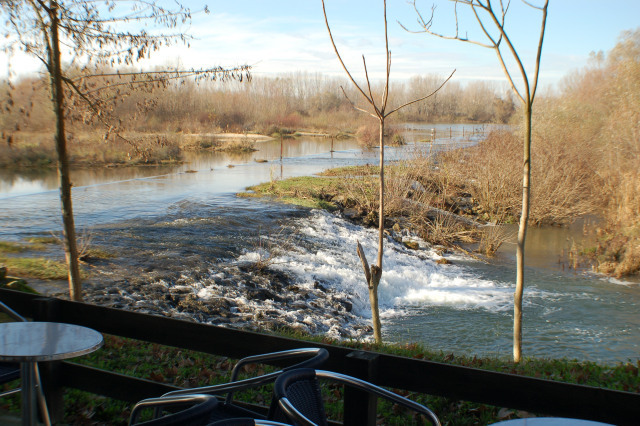 "A woman's body has been discovered floating in the River Ardas in Northern Greece. Thought to be of Middle-Eastern origin, she is buried in a communal grave along with other Islamic victims of drowning. "Later it is revealed that she is actually an Englishwoman who has been living locally. The British government becomes suspicious, turns to Europol for help, and DCI Lambert is dispatched to Greece. "Once again Lambert meets up with Electra Boulos - now a Greek police detective sergeant in Orestiada and an old flame from the past - the official cause why Lambert is on this case, because it was she who discovered the identity of the dead woman. "People trafficking is a dirty business, and is often organized by Daesh and Al Qaeda themselves. Not only for money, but as a way into Europe for terrorists. 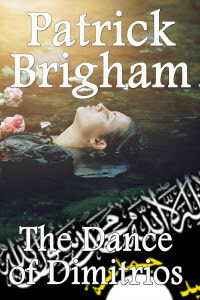 "The dead woman has a history of journalism in the Middle East, and whilst currently a writer of murder mystery novels, she also turns out to have been involved with MI6 in the past. But Lambert is not impressed, and reveals the murky truth behind her murder, despite official obstacles, and practiced lies."